Colorful Spiral Candle is made of Paraffin Wax. It is of good quality of non smoke, no drip and no tear. It is usually used for lightning, decoration, dinner, birthday, wedding ect. Our product has passed SGS, BV ect certificate. Beises Spiral candles, we also product white stick canle, Tealight Candle, Birthday Candle ect. Welcome any of your inquiry. Material :70%paraffin wax,30% stearic acid or 100% paraffin wax. Looking for ideal Colorful Spiral Candle Manufacturer & supplier ? We have a wide selection at great prices to help you get creative. All the Birthday Spiral Candle are quality guaranteed. 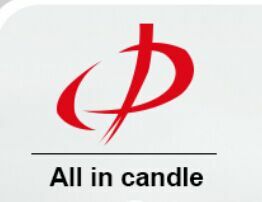 We are China Origin Factory of Wax Spiral Candle. If you have any question, please feel free to contact us.